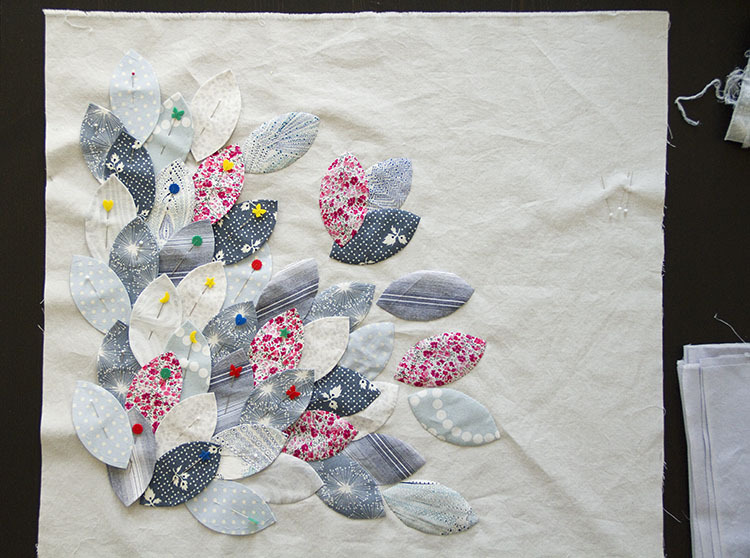 A week or two ago I found myself craving, literally craving, an applique project. Like the way your hand can’t help but reach out to that bowl of mini Kit-Kats on your co-worker’s desk, my hands just needed to feel that comforting rhythm of hand applique. So I started something new. It’s going to be a pillow. 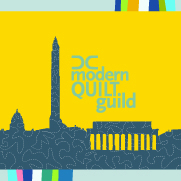 For a quilter/artist, my house is woefully under decorated, and I’m aiming to work on that this year! We’ve been renters for a while, and moving around practically every year it seems, and for like the past five houses all we’ve done is plop down our furniture and open up the book and toy boxes, and call it done. No curtains, no throw pillows, no art on the walls. No settling in. That needs to change. Our home should be a reflection of who we are. I’m working on it. This little project has been living on my kitchen island so I can work on it a few stitches at a time, all day long. Oh, and this stack of shot cottons and solids wants to be something. It’s not even a work in progress at this point, it ‘s a work-in-pondering. As in, what could I make from this. I think it’ll just hang out on the island for a few weeks until I figure it out. I love, love, LOVE this project! The petal design is so restful and beautiful, and the colours are just perfect. I am looking forward to seeing what you come up with for the solid coloured fabrics too. You’re right — they’re just begging to be made into something. It’s a great idea to keep them hanging around — many times that’s how we finally come up with an idea for our teaching — we’ll just be pondering something somewhere in the back of our heads for a long time, then suddenly the idea just leaps out at you! Have fun with both these projects! It looks like it is going to be something pretty special if you ask me ! So sweet!!! I love the pillow (and the stack of solids)! I know that feeling of hands wanting work too! Glad to hear it is infecting more than just mine. 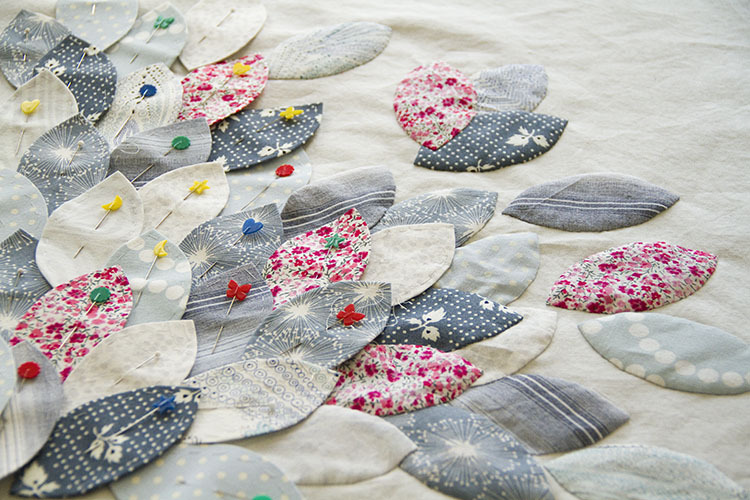 I am curious about the petals and if you use a paper pattern under them as I see some basting stitches in a few which reminds me of English paper piecing. When do you pull the paper out, if you are going to applique them directly onto the finished background cloth? This petal project would make a lovely quilt idea maybe blown up like your Dresden plate project or perhaps shrunk to miniatures? 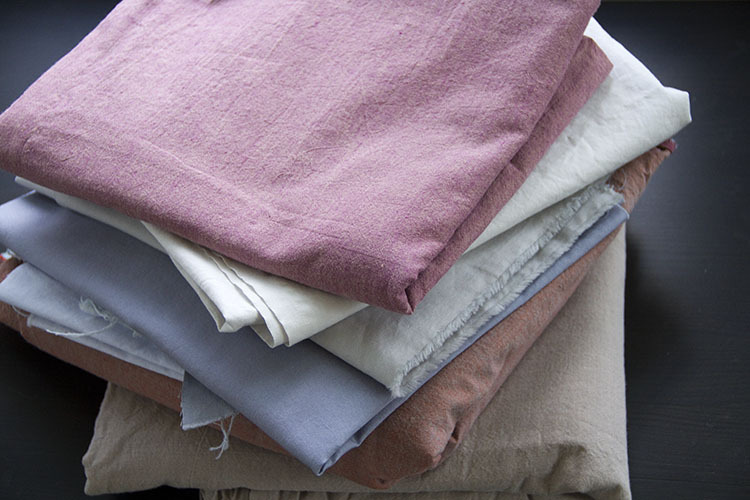 Not knowing how long you will be living somewhere makes it difficult to commit to decorating investments but things like pillows, curtains, art and quilts are the sort of thing you can pack up and take to a new home if you do move. It also makes living there more fun where ever home is and I am glad to hear you are making the commitment to your current home. It will be good for you all to really feel at home. I have a similar stack of shot cottons. I hope you can figure out a project that I can “steal”! Love the pillow you’re working on. The petal shape reminds me of the first applique project I ever did which was a table runner for one of my daughters. It was an easy shape to make and sew and very versatile. 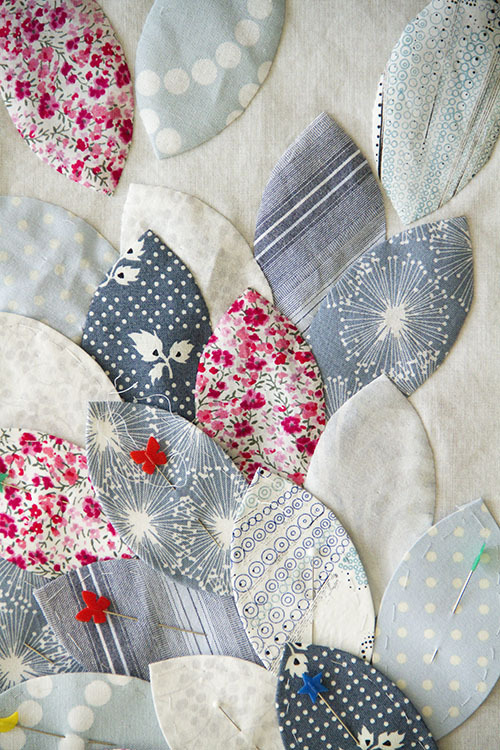 your applique project is stunning! i love the way you combine color and value and your handwork is exquisite.